We offer venues for everything from small gatherings to large galas. The kitchen can provide a variation of food and personal service at comfortable prices and has all the rights of the house. The community building offers nice outdoor areas and great parking. Our party rooms can accommodate up to 750 guests, longer diningtables for weddings, mingle tables for reunions, Christmas parties, confirmations and other festivities. We tailor-make solutions that suits you and your needs. 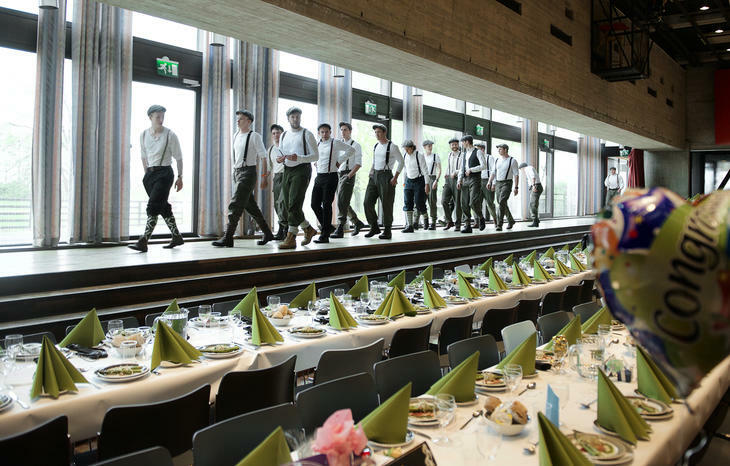 There are furnishings, technical equipment and guards for waiters and the party menu. Fill in the attached form and we will return to you as soon as possible.